Trametes versicolor — also known as Coriolus versicolor and Polyporus versicolor — is an extremely common polypore mushroom which can be found throughout the world. Versicolor means 'of several colours' and it is true that this mushroom is found in a wide variety of different colours. 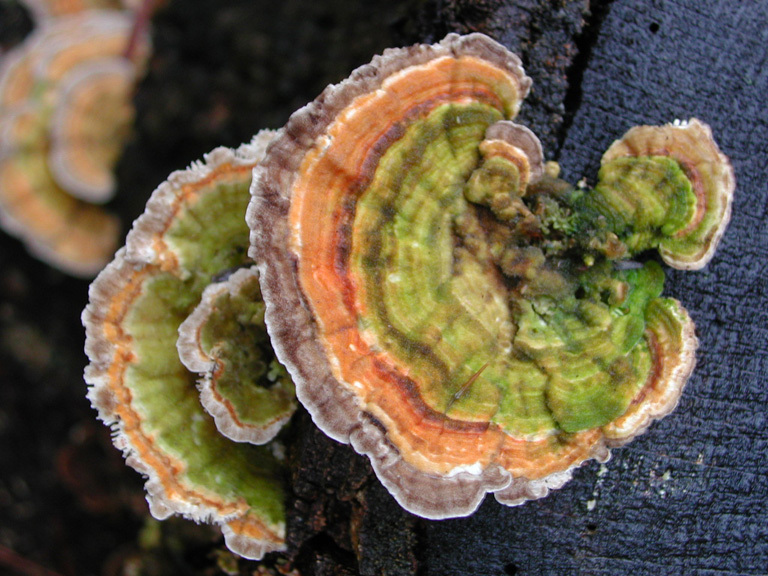 T. versicolor is commonly called turkey tail because of its resemblance to the tail of the wild turkey. 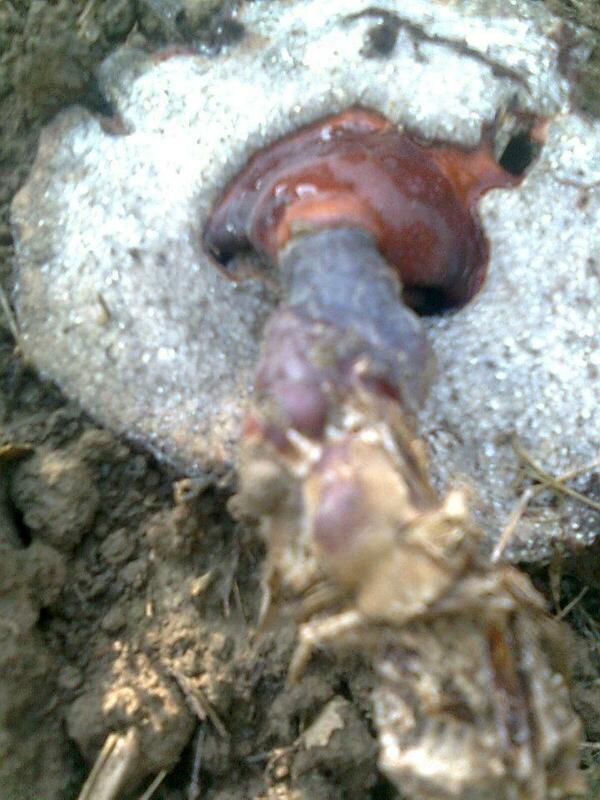 T. versicolor is recognized as a medicinal mushroom in Chinese medicine under the name yun zhi (simplified Chinese: 云芝, traditional Chinese: 雲芝). In China and Japan T. versicolor is used as in immunoadjuvant therapy for cancer.
. Mushrooms (kinoko, ki no ko 茸, 菌) .